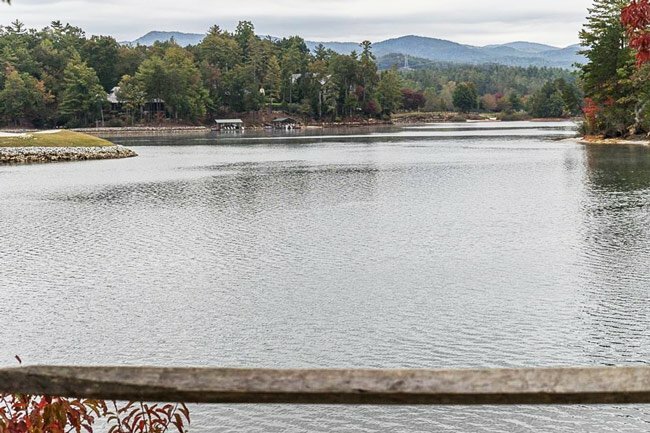 Keowee-Toxaway State Park in the Sunset community of Pickens County spans 1,000 acres and affords spectacular views of the Blue Ridge Mountains. Hiking and biking trails allow visitors to explore the area’s natural surroundings, though more serious hikers can venture to nearby Table Rock State Park for a vigorous walk through the South Carolina mountains. The biggest draw to this park, however, is the 18,500-acre Lake Keowee. The park was created in 1970 from land donated by the Duke Power Company. Another interesting feature of the park is its welcome center, housed in a former church (seen below). 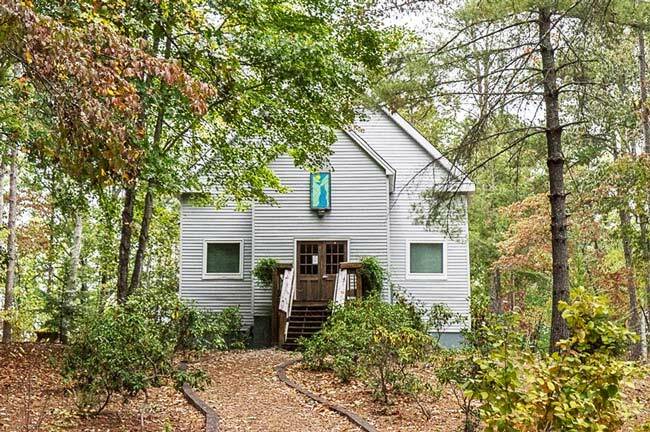 Called the Jocassee Gorges Visitor Center, this quaint building was formerly Holly Springs Baptist Church. The church was donated to the state in the 1970s after it was replaced by a new sanctuary; the old church had served its congregation for 80 years. The church opened as the welcome center in 2008 following a restoration. The center includes educational exhibits on native plants and animals as well as cultural history on the area’s fist inhabitants, the Cherokee Indians. 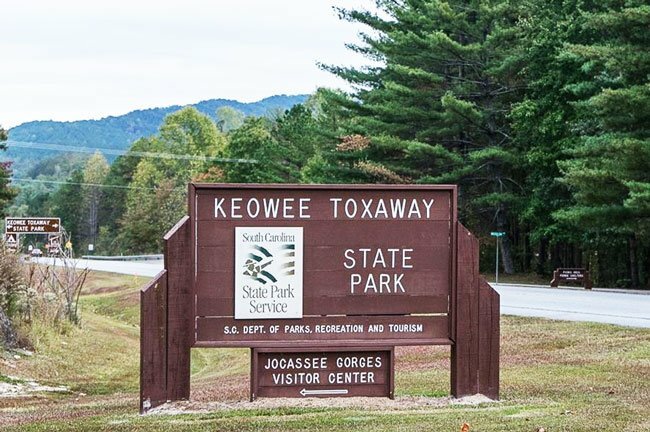 The name “Jocasee Gorges” refers to the streams and waterfalls that have created gorges over time and feed nearby Lake Jocassee. Lake activities are the most popular pastimes at Keowee-Toxaway State Park. While motorized boat access can be found about five miles away from the park, state park access provides only for canoes, kayaks, and paddle boards, guaranteeing guests a quiet and serene visit. Bass, bream, and catfish draw fishermen to the park, and others just enjoy swimming. Picnic tables and restrooms are available for daytrippers. For those wishing to stay at the park overnight, a three-bedroom cabin is available for rent. More rugged guests are welcome to camp at one of the park’s 24 campsites. Ten of the sites are paved and include water and electrical hookup, while the others have central water and a fire circle. Four other primitive trailside camping sites are available along the 4.4-mile-long Raven Rock Hiking Trail.